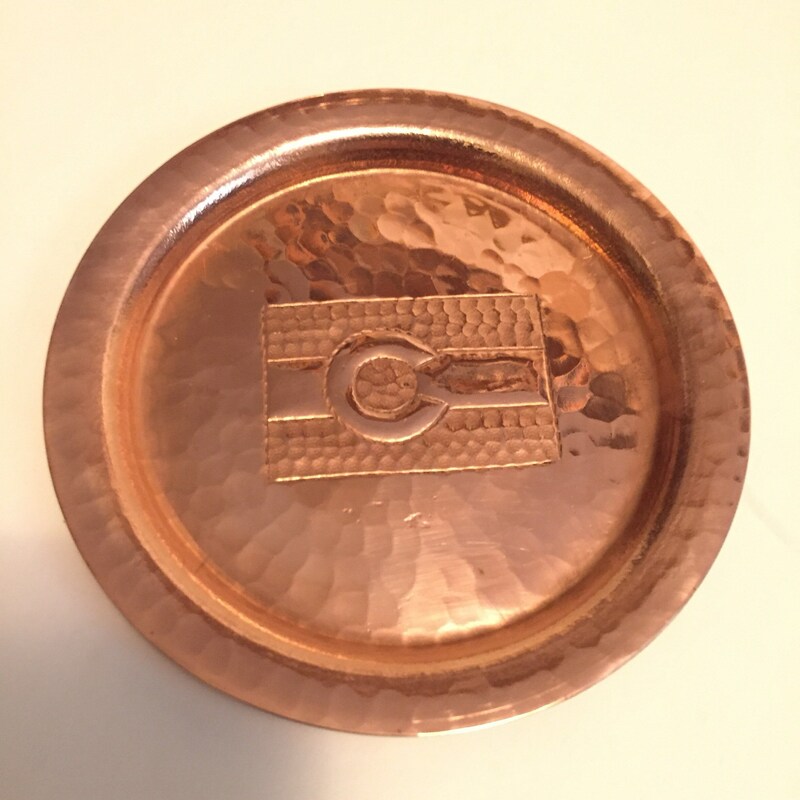 These pure copper coasters are handcrafted and hand engraved. 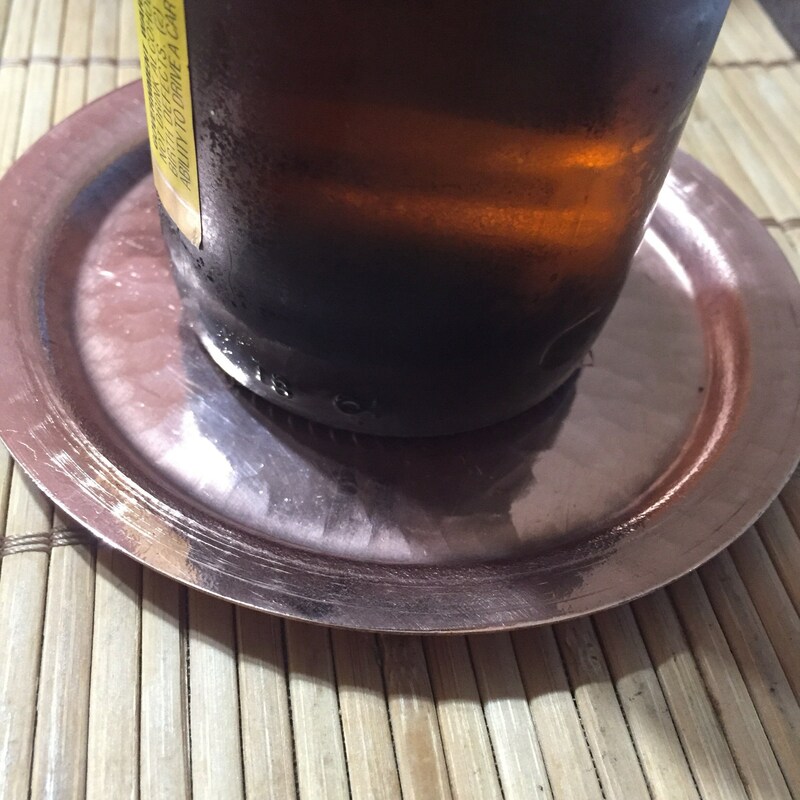 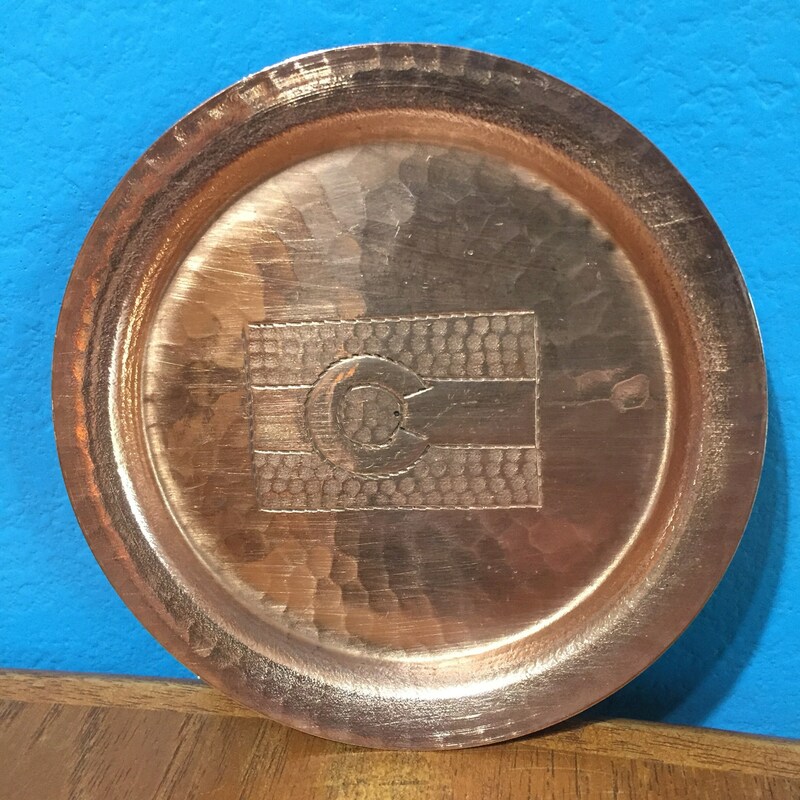 These copper coasters will last a lifetime. 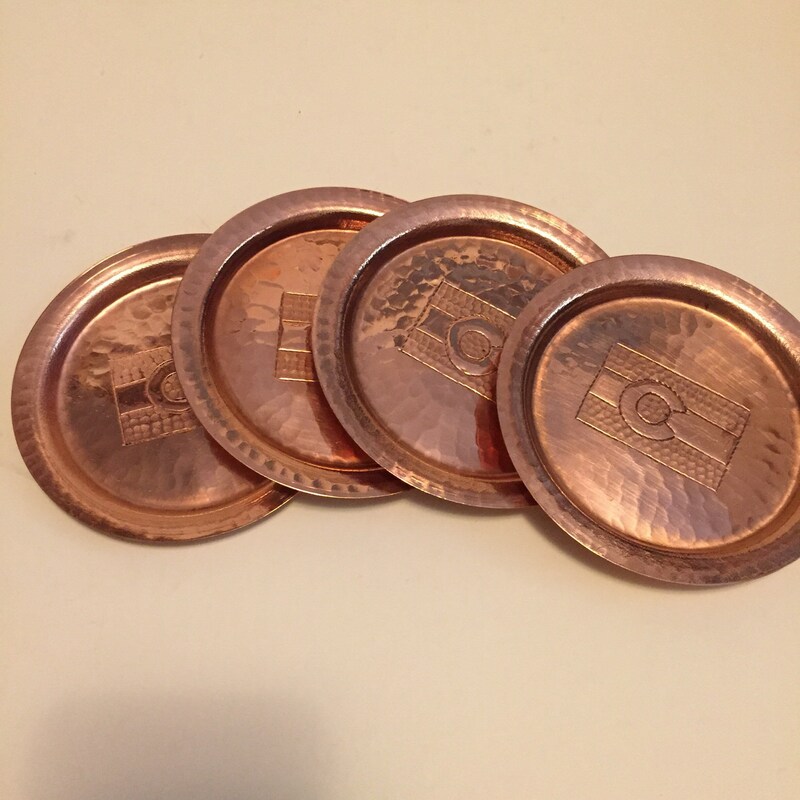 These are pure copper, not copper coated. 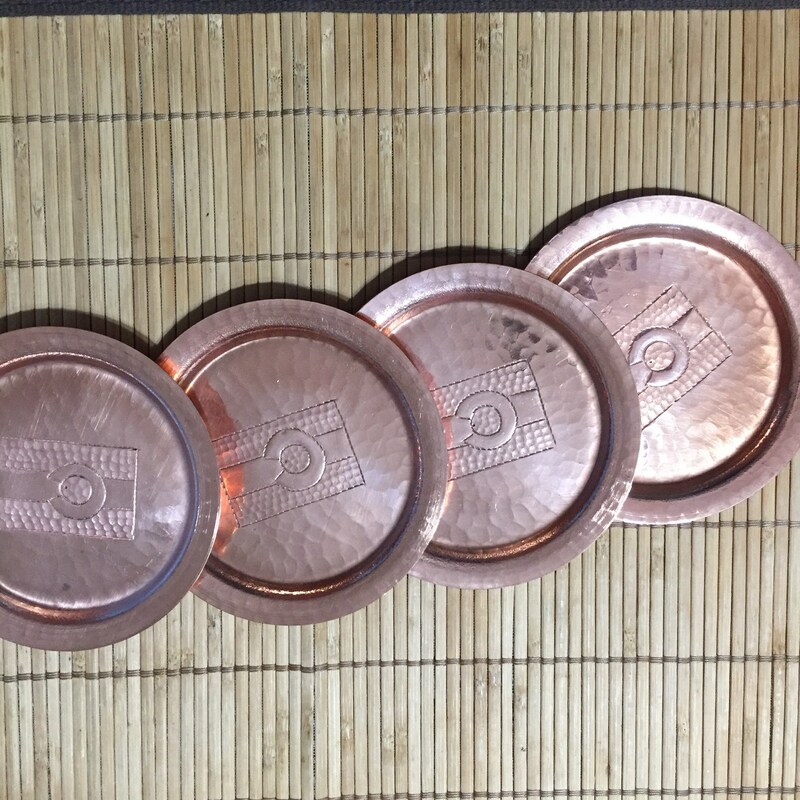 This listing is for 4 coasters. 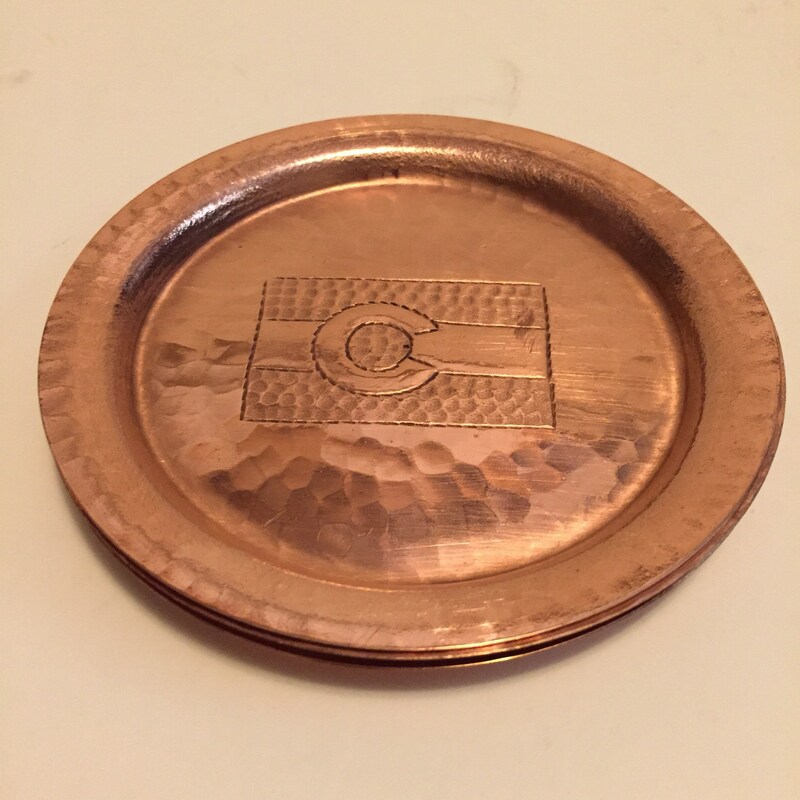 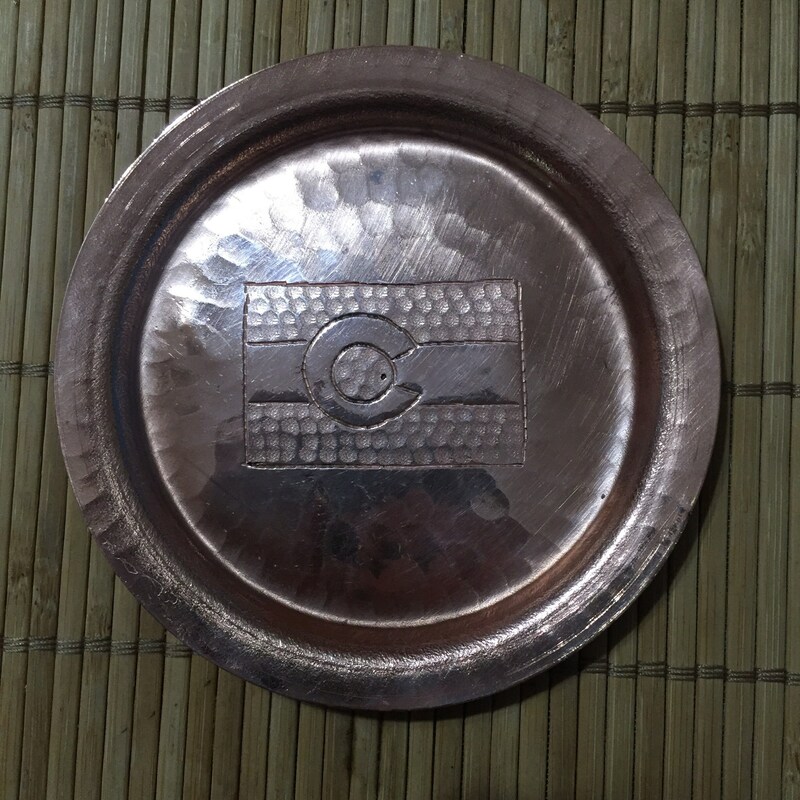 Copper coasters, 100% copper, hammered, handcrafted w/ hand engraved Colorado Flag logo. 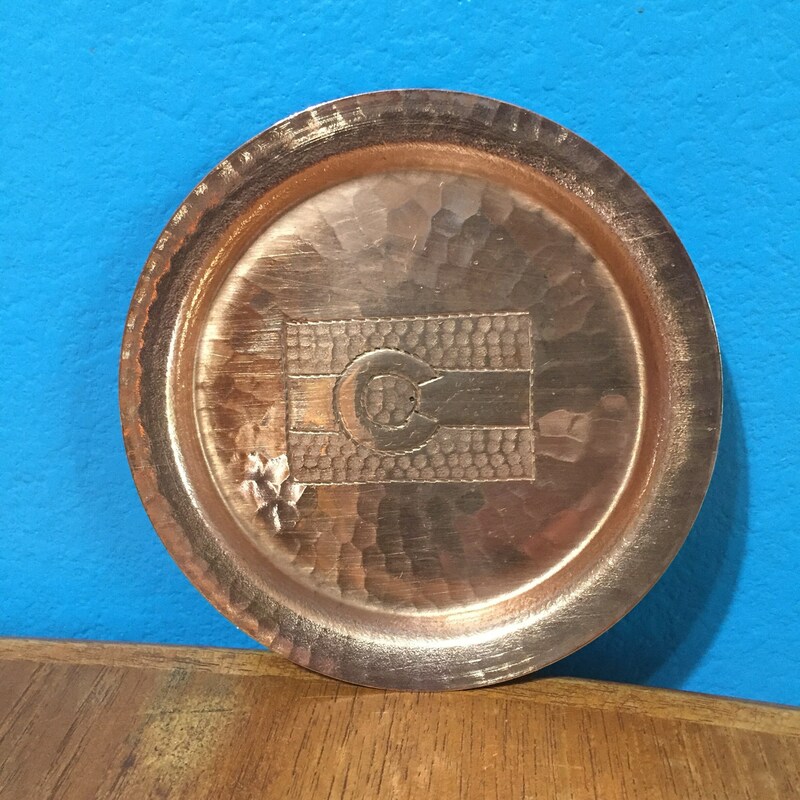 4 1/2" diameter (outer circle), 3 1/2" diameter (inner circle). 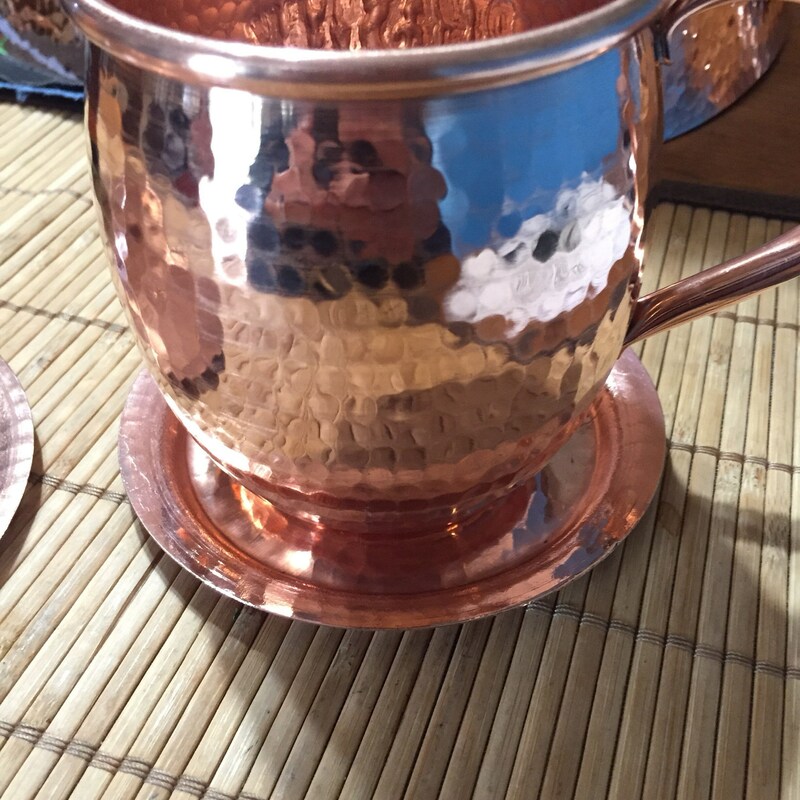 These stack together for when not in use.